I don’t have much to add to the existing discussion of the Internet Cat Film Festival, other than to say that I think it’s a brilliant illustration of the ways in which online activity can be used to facilitate collective online experiences. As the New York Times article on the festival points out, cat videos are one of the most popular attractions on YouTube, at least among content generated by amateurs. And many of the cats in the videos have, in fact, developed their own degree of celebrity. 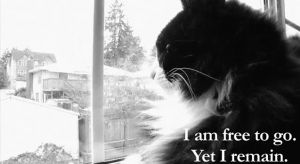 Like many other similar genres, cat videos invite repeat viewings, and in many cases, the videos have acquired such a clear meaning that they can be used to comment on other aspects of popular or political culture (as the enduring power of the LOL Cats meme illustrates). Thus, even though many of these videos may be several years old and may have been seen millions of times, they still have the power to entertain, especially when they are watched collectively. 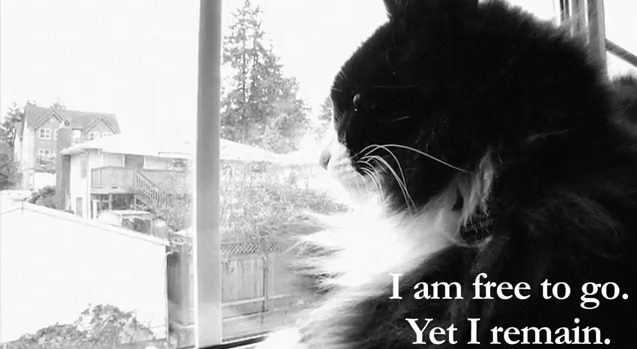 The cat video that won the best of the fest award was Henri, Paw de deux, which has been around for several years, but which still manages to elicit laughs with its projection of existential angst onto its feline protagonist.